NYSE, Nasdaq, CME Group and Cboe Global Markets will close on 5 December to honour former President George H. W. Bush. 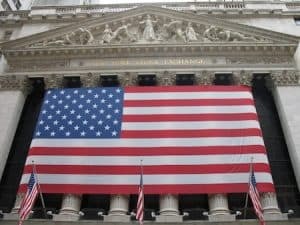 Several major stock exchanges have decided to close trading on US markets on 5 December following the passing of former President George H. W. Bush. President Donald Trump announced this weekend that 5 December would be a national day of mourning after Bush passed away on 30 November. Among those announcing closures is Nasdaq, the New York Stock Exchange (NYSE), Cboe Global Markets and CME Group. NYSE, NYSE American, NYSE National, NYSE Arca and the Chicago Stock Exchange Group, all part of the ICE network of exchanges, will close on the national day of mourning and the United States flag will be displayed at half-staff at NYSE in honour of President Bush. Similarly, CME Group said its US-based equity and interest rate futures and options markets will close on the national day of mourning, alongside the equities and options US markets at Cboe Global Markets and Nasdaq. Following President Trump’s confirmation of a national day of mourning, the Securities Industry and Financial Markets Association (SIFMA) also recommended a full market close on 5 December, including all fixed income-cash markets to honour the late former President.